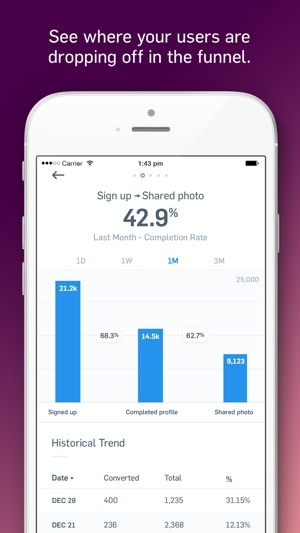 The official Mixpanel companion app - a mobile dashboard that keeps all your key metrics in one place, everywhere you go. 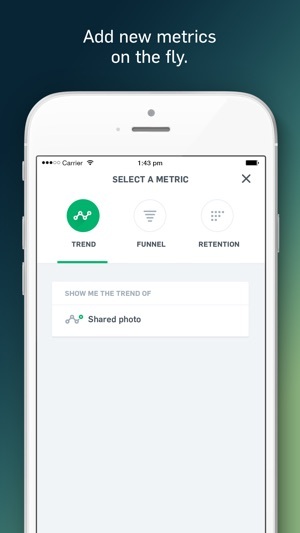 Stay up to date on trends, funnel conversion rates, and retention rates all in one app. 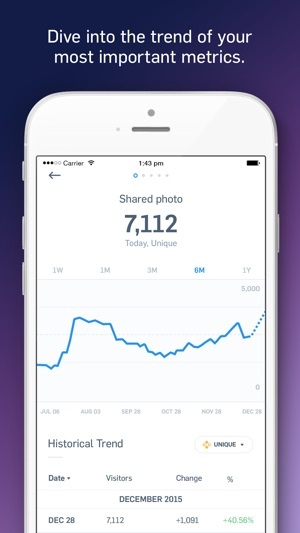 Receive smart alerts when your metrics move unexpectedly. All you need to do is login with your Mixpanel email address that you already use on the web. 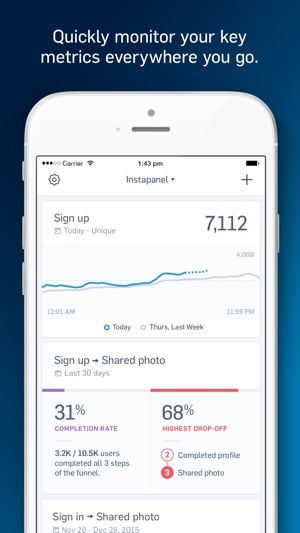 - Trends: See how people are engaging with your app by measuring the actions people take. - Funnels: See where people are dropping off. 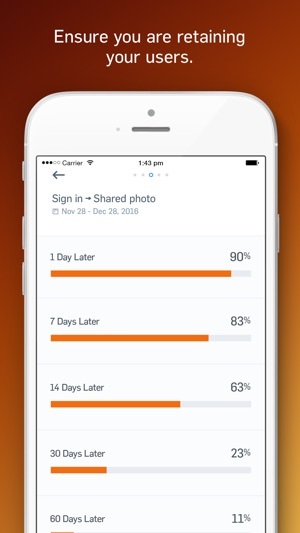 - Retention: See how often your users come back and how valuable your app is. - Smart Alerts: Get a push notification when your metrics change in a surprising way- utilizes the power of Mixpanel’s proprietary machine learning. - Security: If two-factor or single-sign-on is required for your account, you'll be able to securely login. - Personalized: Your dashboard is personalized for what you care about. - All your data: If you utilize multiple projects for different apps or different parts of your application, you'll be able to make a dashboard for each project. Bug fixes and improved stability to the app. Support safari credential sharing please! Giving the app a 4 cause I remember it was decent. I can't login anymore though, cause my password was generated by safari, it's in the keychain, I don't know it and thus can't login anymore. Enabling keychain sharing with safari would make that a breeze though.